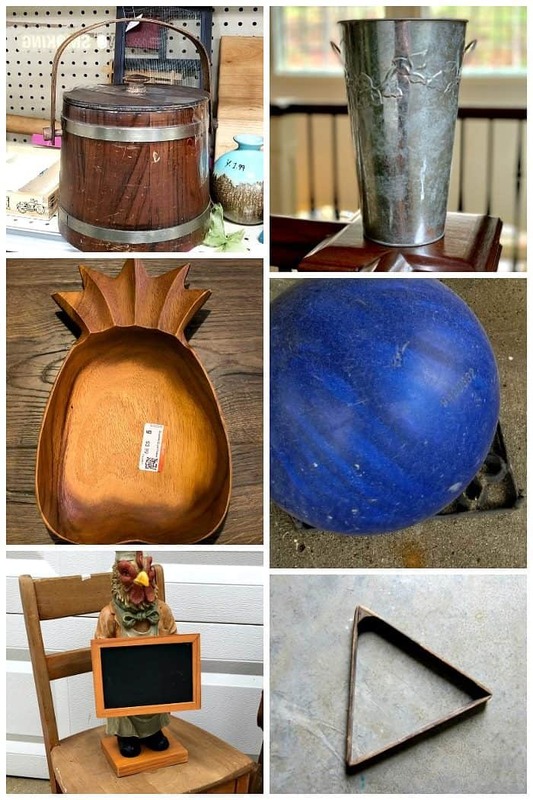 It’s thrift store makeover time and this month I’m sharing my Life is Sweet Wood Pineapple. 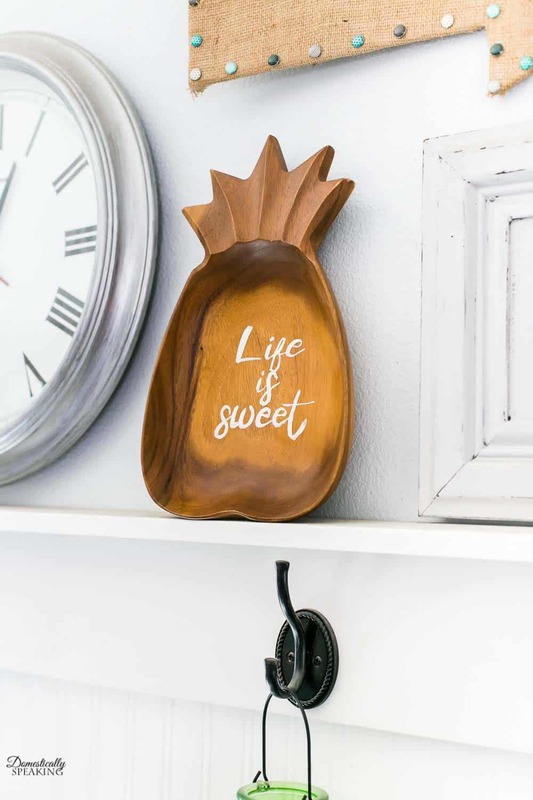 I took a wood pineapple that I scored at my local thrift store for only $1 and turned it into a cute sign with some acrylic paint. Here is what I started with. Our local thrift store has dollar days, so I scored this cutey for only a buck! So I played around with some fun fonts to create the look I wanted for the sign. 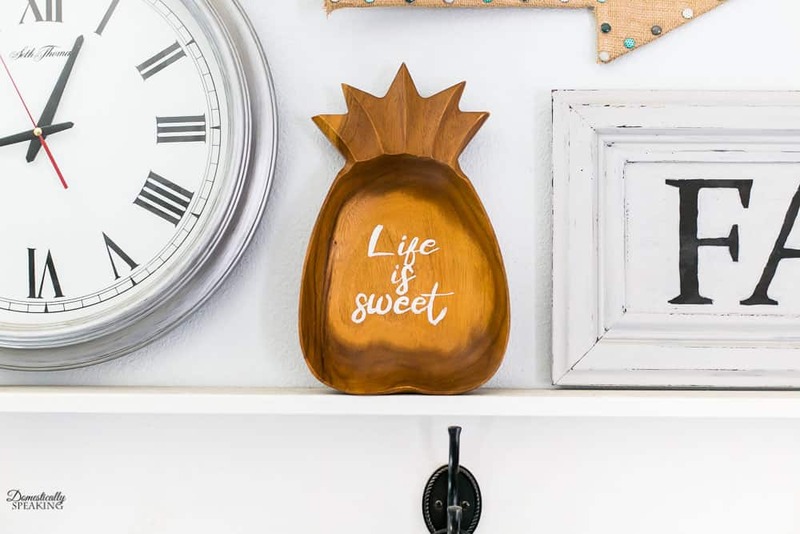 I printed it out on regular copy paper and used painter’s tape to place it on top of the wood pineapple. Then I took a sharp pencil and traced over the letters, pressing firmly into the wood. After tracing the letters, I pulled off the paper and you could see the letters pressed into the wood. Tip: I recommend doing this in a well-lit room, it makes it much easier to see the pressed in letters. 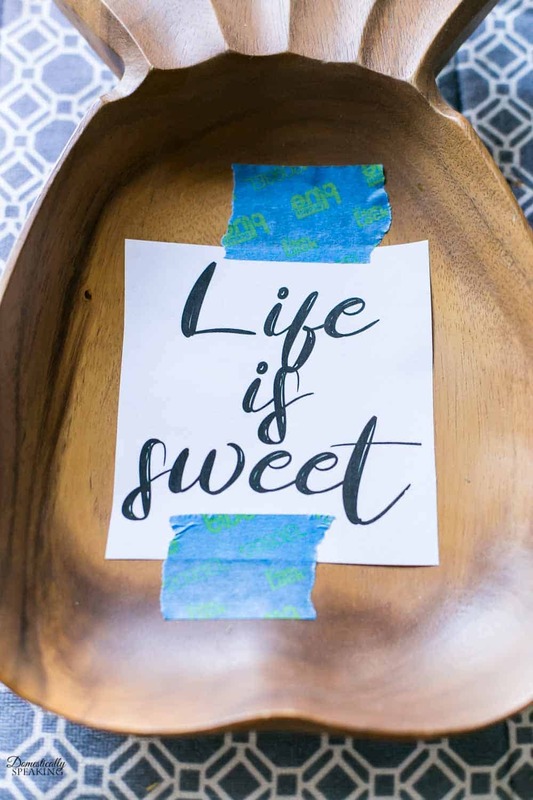 Then I took a thin paintbrush and white acrylic paint and traced over the lettering to create my Life is Sweet Sign. Now here’s what the rest of the team has been making over… check out the makeovers in the links below. sweet project, lol. Love it Maryann! 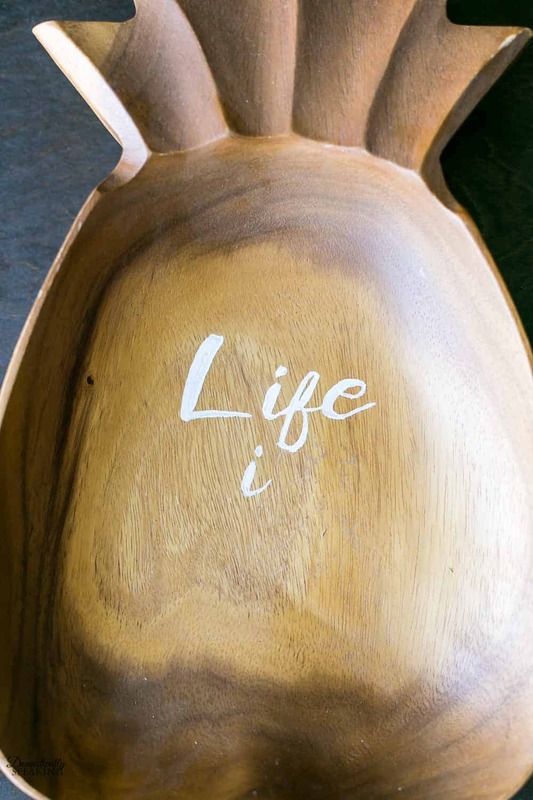 Life IS sweet, and so is your project. I love that easy transfer method. 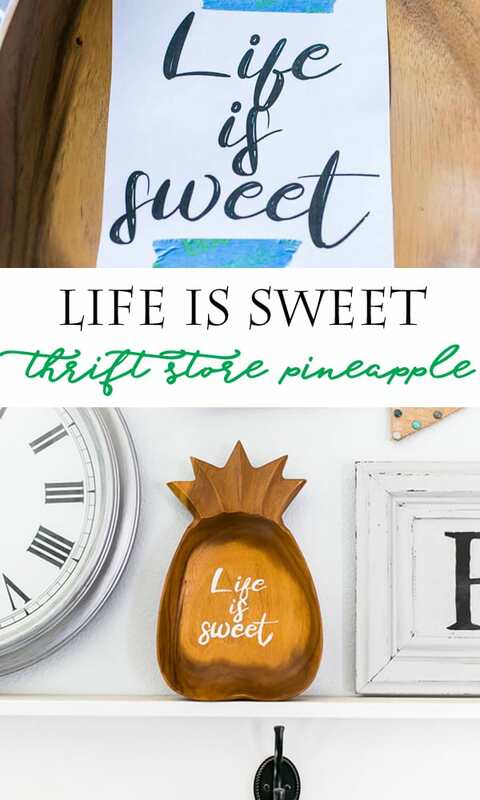 If you’ve got an awesome boss I’m sure he/she would completely understand the need to thrift 😉 I’m glad you love it and hope you find your own cute pineapple! 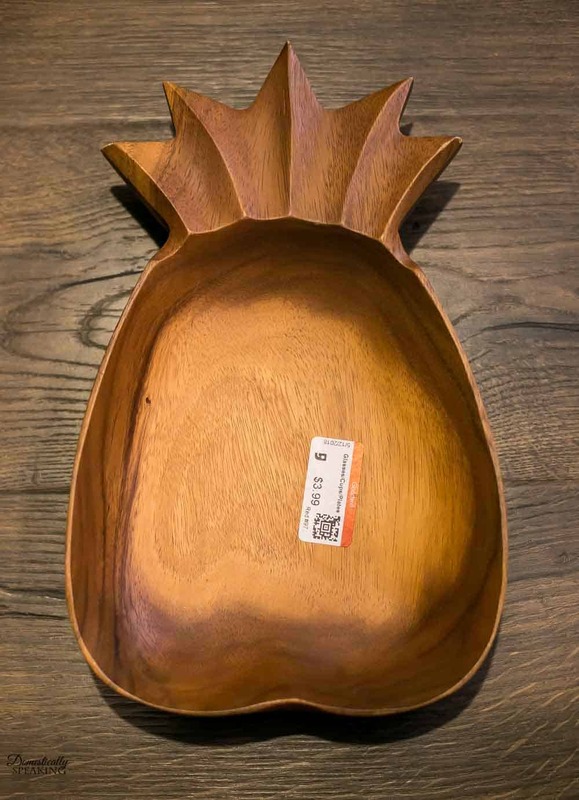 First of all, what a score on that pineapple shaped bowl! I love how you just simply added wording for the update. Perfect! Thanks girl! 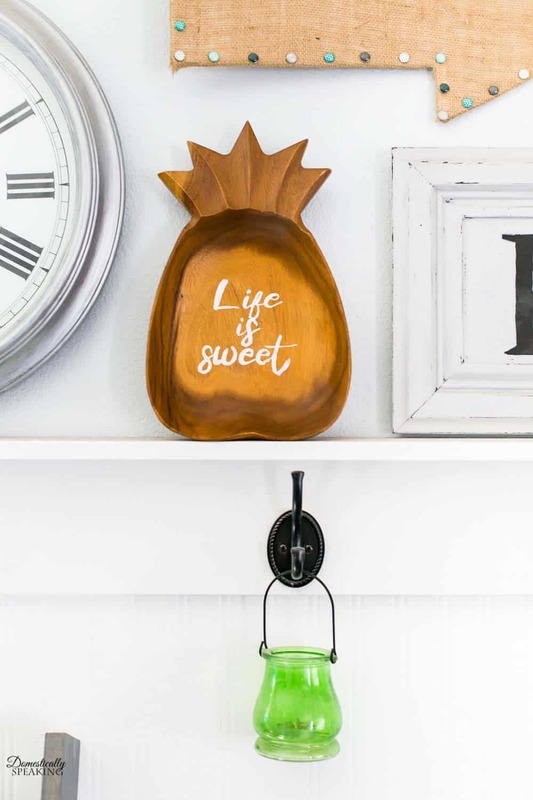 Can’t pass up a cute pineapple!